Is your insurance coming due? Do you need to have your Ontario Drive Clean testing done? Located conveniently here in Port Hope, and servicing areas such as Belleville, Peterborough, Clarington & Oshawa, and all over Northumberland County, Lauria Hyundai can service your vehicle and complete your Ontario Drive Clean Testing no matter your used vehicle make or model. Together we can all help keep Ontario a little more beautiful by reducing smog-causing pollutants and correcting any emission issues your vehicle may be experiencing. By law, certain car, truck, SUV’s, vans and motorhomes must pass the Drive Clean testing in order to be licensed in Ontario. The Drive Clean Test will determine if your vehicle passes the minimum standards or if you need repairs to get up to pass the testing. In general, you need to complete a Drive Clean test every 2 years once your vehicle has hit the 7 year mark. (Newer vehicles are exempt). The easiest way to tell is to look at the registration form the ministry of Ontario will send you when your yearly fees are due. You will see a mark and explanation on the form. For more information on the testing details please visit the Service Ontario site. If you have any questions feel free to contact us or swing by our dealership at 50 Benson Court Port Hope. Looking for a place to do your Drive Clean Test in Port Hope, Cobourg, Colborne, Grafton, Peterborough, Newtonville, or anywhere else in the Northumberland area? 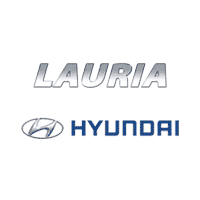 Lauria Hyundai is an Accredited Drive Clean Test and Repair facility and we will be happy to administer the Drive Clean testing for you so you can register your vehicle and complete your car insurance paperwork as you know you need the Drive Clean Test to be completed depending on the year of your used Car, Truck, SUV or minivan.